Network's Adventure Summer Camp is designed with fun and educational activities that will keep your child learning, exploring, and physically active during the summer months. Our camp provides children the opportunity to learn all about farm life. Come and enjoy horse camp with daily Bible study, swimming, crafts, a little cooking, and lots of fun! Join us for weekly fun-filled themes for all camps including: arts & crafts, group games, indoor/outdoor play, field trips & so much more! 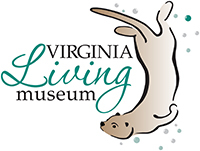 Join the Portsmouth Museums for an exciting offering of summer camps! Spark your child’s imagination with interactive and educational programs. 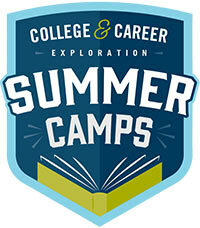 This summer, TCC offers more than 100 camps suitable for elementary, middle school and high school aged-youth. With seasonal academies & leagues, lessons and birthday parties throughout the year, kids will have a blast and grow their games like never before. Since its foundation in 1960, the Triple R Ranch ministry has taught thousands of campers the message and truth of the gospel. Our summer camps will fill your child’s day with fun activities, games, crafts, special events and more! Full-day and half-day camps available for K - 5th Grade. Camping, like many Y programs, is about learning skills, developing character and making friends.